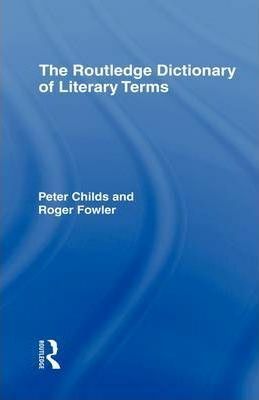 A twenty-first century version of Roger Fowler's 1973 Dictionary of Modern Critical Terms, this latest edition of The Routledge Dictionary of Literary Terms is the most up-to-date guide to critical and theoretical concepts available to students of literature at all levels. full cross-referencing throughout and suggestions for further reading. Peter Childs is Professor of Modern English Literature at the University of Gloucestershire. His recent publications include Modernism (Routledge, 2000) and Contemporary Novelists: British Fiction Since 1970 (Palgrave, 2004). Roger Fowler (1939-1999). The distinguished and long-serving Professor of English and Linguistics at the University of East Anglia was the editor of the original Dictionary of Modern Critical Terms (Routledge, 1973, 1987).